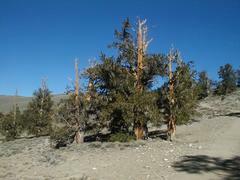 John, Nathan, and Per drive into the White Moutains East of Bishop (where we had stayed the night), to see the ancient Bristlecone Pines, the oldest known living beings on this planet. 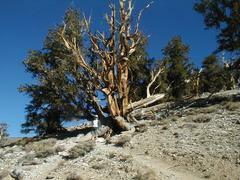 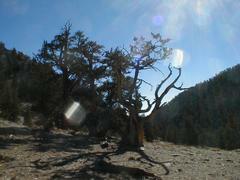 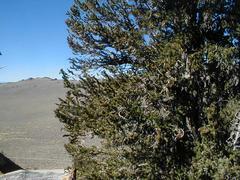 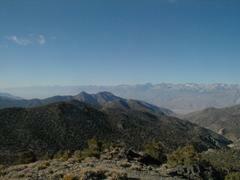 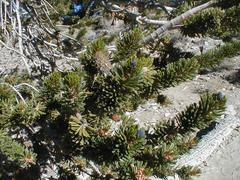 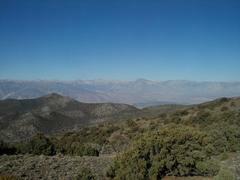 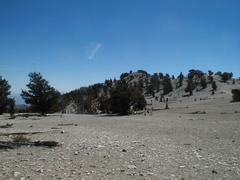 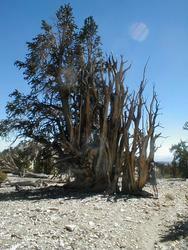 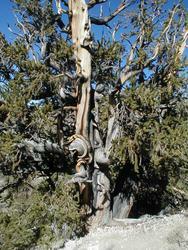 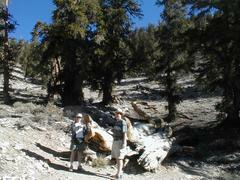 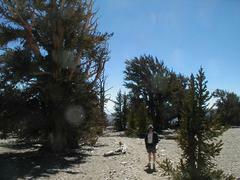 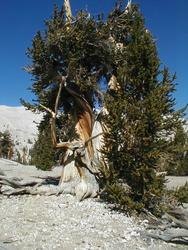 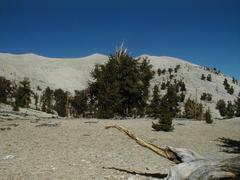 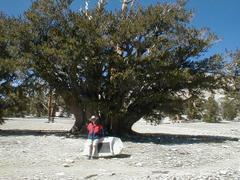 Hiking the discovery trail at Schulman Grove, which is by the Vistor Center in the Bristlecone Pine Forest. 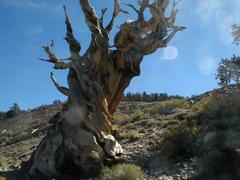 Some of these are over 4000 years old and still holding on to life. 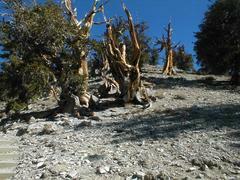 Then we drove a dirt road to see the high and isolated Patriach Grove.